Charles Rideout named this Joel White–designed Nutshell pram after his late son, calling her ALLAN'S AMERICA. In his letter, he said he received his plans from WoodenBoat Store on the same day he heard of Joel White's death. 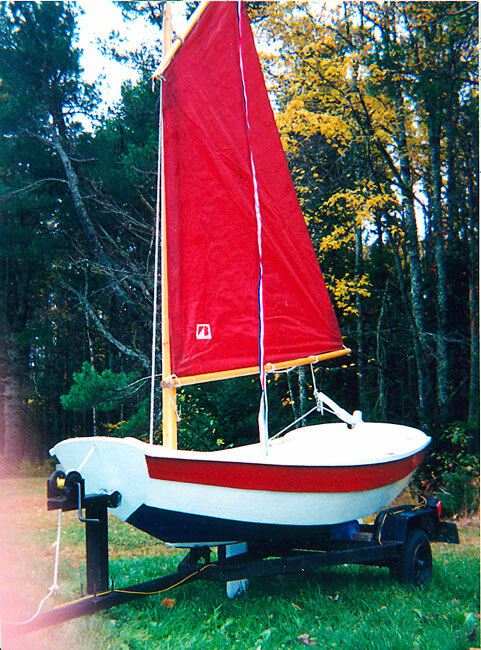 Launched in July 2002, his granddaughters sail her at West Bay in Gouldsboro, Maine. Her overall length is 7'7" and her color scheme is in honor of 9-11-01.